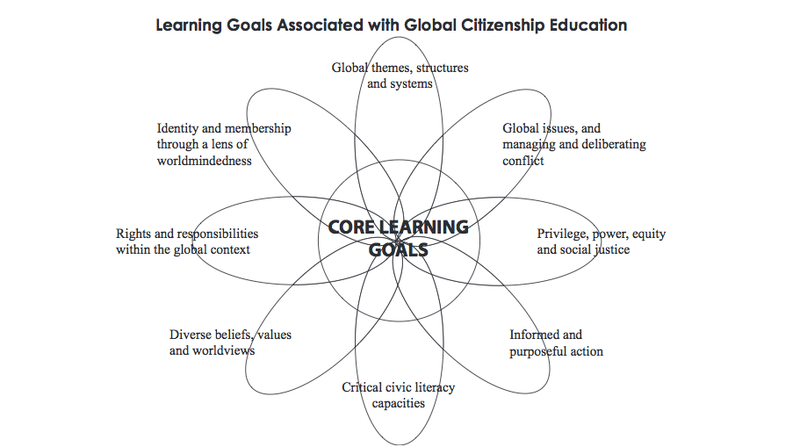 Throughout my inquiry process and development of pedagogical context, the relevancy of global education became clear. Countries around the world are engaging in educational reforms in response to globalization and prioritizing cultivation of skills our students will need to navigate in a world that transcends physical, cultural, linguistic, and economic borders. Many educational systems - including Finland, Australia, Canada, Scotland, and the United States - have been drafting policy and promoting practice of values, attitudes, knowledge and skills through the concepts of global citizenship and global competency, and, as to be expected, the context for policy is influenced by national (and international) values and priorities. Below is a sampling of international policy. The expression of values and priorities includes an array of perspectives relating to the umbrella concept of global education.I have chosen definitions that have supported, shaped, guided, and are relevant to my study. Read about these perspectives here. 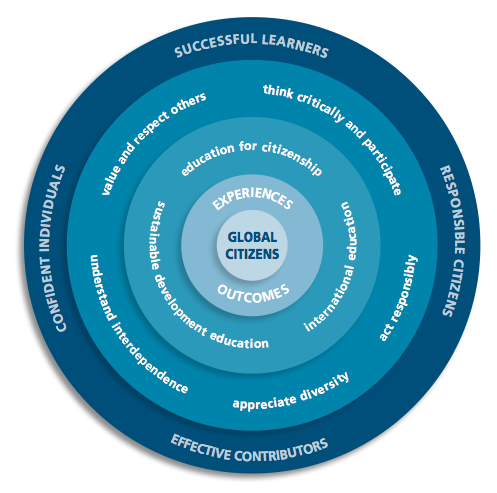 "Global Citizenship Education (GCED) equips learners of all ages with those values, knowledge and skills that are based on and instil respect for human rights, social justice, diversity, gender equality and environmental sustainability and that empower learners to be responsible global citizens. GCED gives learners the competencies and opportunity to realise their rights and obligations to promote a better world and future for all." "Education is a priority for people around the world, and it is my priority, too. My new Education First initiative aims to give a “big push” to the global movement for education -- by 2015 and beyond. First, putting every child in school. The global community pledged to achieve universal primary education by 2015. We need to make all the necessary investments to ensure that every child has equal access to schooling. Second, improving the quality of learning. Access to education is critical. But it is not enough. We must make sure that people acquire relevant skills to participate successfully in today’s knowledge-based society. Third, fostering global citizenship. Education is much more than an entry to the job market. It has the power to shape a sustainable future and better world. Education policies should promote peace, mutual respect and environmental care. I call on world leaders and all involved with education to join this initiative and fulfil the promise to make quality education available to all children, young people and adults. Together, we can empower individuals to transform our world." "Global Education is education that opens people’s eyes and minds to the realities of the world, and awakens them to bring about a world of greater justice, equity and human rights for all. Global Education is understood to encompass Development Education, Human Rights Education, Education for Sustainability, Education for Peace and Conflict Prevention and Intercultural Education; being the global dimensions of Education for Citizenship." Enabling young people to participate in shaping a better shared future for the world is at the heart of global education. It emphasises the unity and interdependence of human society, developing a sense of self and appreciation of cultural diversity, affirmation of social justice and human rights, building peace and actions for a sustainable future in different times and places. It places particular emphasis on developing relationships with our neighbours in the Asia-Pacific and Indian Ocean regions. Global education promotes open-mindedness leading to new thinking about the world and a predisposition to take action for change. Students learn to take responsibility for their actions, respect and value diversity and see themselves as global citizens who can contribute to a more peaceful, just and sustainable world. With its emphasis not only on developing knowledge and skills but also on promoting positive values and participation, global education is relevant across all learning areas." "As countries around the world move into an era of global integration, citizenship can no longer be defined by national borders. For this reason, it is more and more important that we learn to see ourselves and that we educate our children to see themselves as responsible global citizens. By beginning today, we can help ensure young Canadians become informed about and engaged in global issues so that they understand and value Canada's international efforts.The Global Classroom Initiative supports the development of school-based global education resources and activities. We look forward to supporting projects from the education sector that will help Canadian youth get to know their global neighbours, appreciate different world views, and understand the global impact of their choices and actions." Increase knowledge of international-development and cooperation issues (e.g. 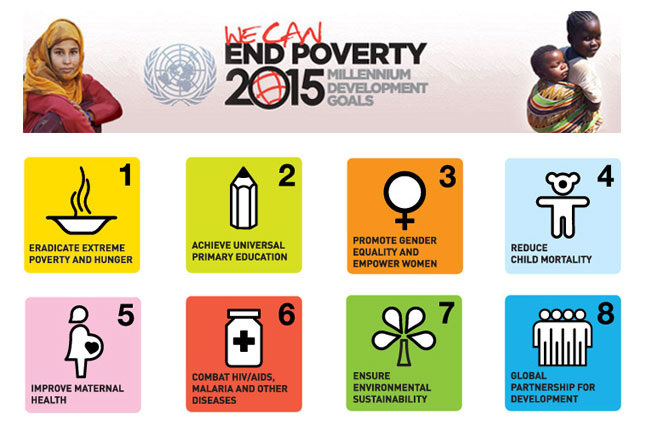 rights of children, gender inequities, human rights, environmental global issues). Instill an understanding of global interdependence and Canada's responsibilities as a member of the global village (and other related concepts e.g., globalization, rights and responsibilities, social justice, diversity, equity, peace and conflict). Raise awareness of the role Canadian individuals and organizations play in overseas relief and development assistance. Instill a sense of global citizenship and increase awareness of the difference that individual and collective actions can make on issues of global importance. Promote tolerance and respect for the many diverse cultures in Canada and around the world. "The 21st century has presented us with new opportunities and challenges and requires a different approach to education. In our fast-changing world, it is necessary for children and young people to acquire the knowledge, skills, values and attitudes to adapt and to thrive. Their education should prepare them for living and working in a global society. The big issues affecting our planet, such as climate change and global poverty, require an innovative generation that knows how to find solutions. Our democratic societies need creative people who recognise the importance and value of participation and making their voices heard. The injustice and inequalities in society require people who care about human rights and who recognise that our lives are linked together in our increasingly interdependent and globalised world." "Civic Literacy, Global Awareness & Cross-cultural Skills Our society is becoming increasingly cosmopolitan and more Singaporeans live and work abroad. Our young will therefore need a broader worldview, and the ability to work with people from diverse cultural backgrounds, with different ideas and perspectives. At the same time, they should be informed about national issues, take pride in being Singaporean and contribute actively to the community"
"In today's globalized world, an effective domestic education agenda must address global needs and trends and aim to develop a globally competent citizenry. It is no longer enough to focus solely on ensuring that students have essential reading, writing mathematics and science skills. Our hyper-connected world also requires the ability to think critically and creatively to solve complex problems, the skills and disposition to engage globally, well-honed communications skills, and advanced mathematics, science and technical skills. Such comptencies will prepare students, and our nation, for a world in which the following are the reality. 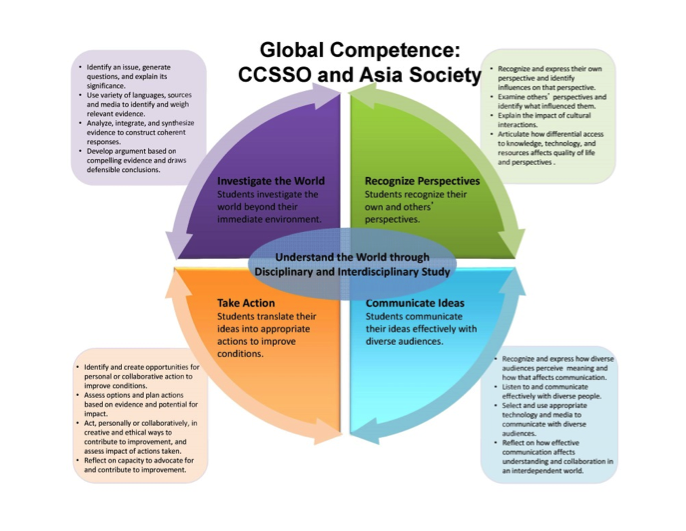 "Global competence is the capacity and disposition to understand and act on issues of global significance. Globally competent individuals are aware, curious, and interested in learning about the world and how it works. They can use the big ideas, tools, methods, and languages that are central to any discipline (mathematics, literature, history, science, and the arts) to engage the pressing issues of our time. They deploy and develop this expertise as they investigate such issues, recognizing multiple perspectives, communicating their views effectively, and taking action to improve conditions."